A wall sticker for children in which the Easter Bunny is holding a coloured egg. A nice wall decoration for Easter. Are you decorating your home, school or shop for Easter? Then you can’t afford to miss this beautiful vinyl sticker. 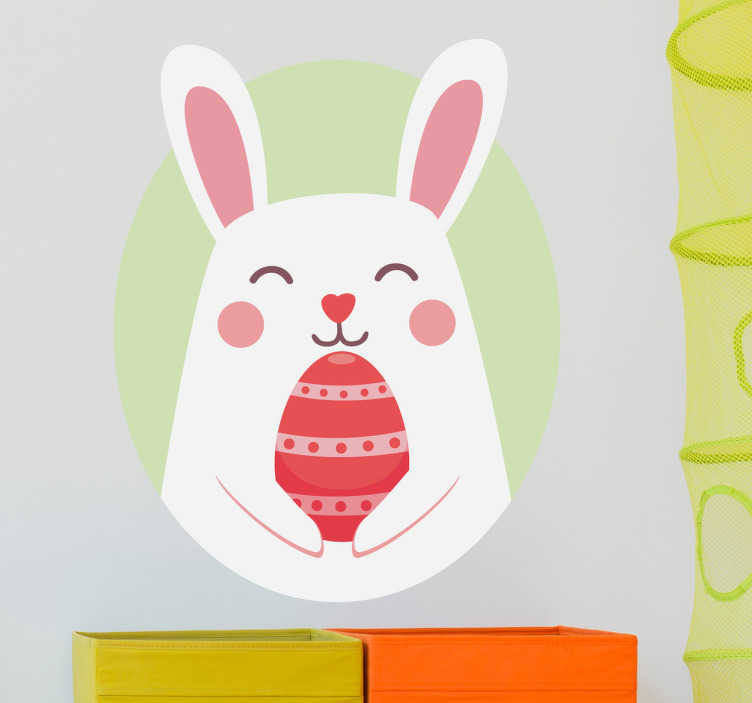 This cute and happy Easter bunny sticker will bring a smile to everyone’s face. This removable sticker is available in various sizes and colours.